GDAX.com Review 2019 – Scam or Not? GDax was aquired by Coinbase and is now Coinbae Pro. 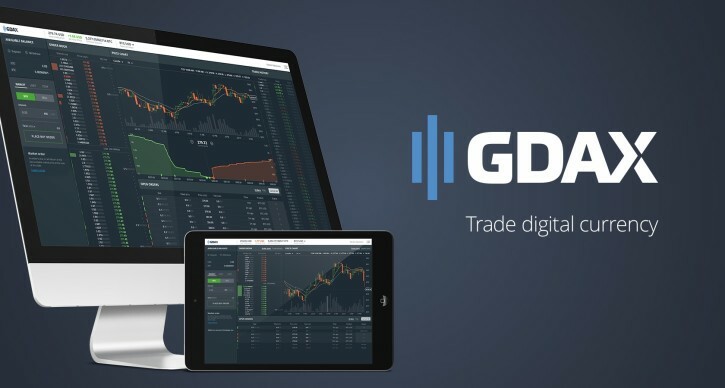 Global Digital Asset Exchange or short GDAX is a trading platform launched by the Coinbase in May of 2016. 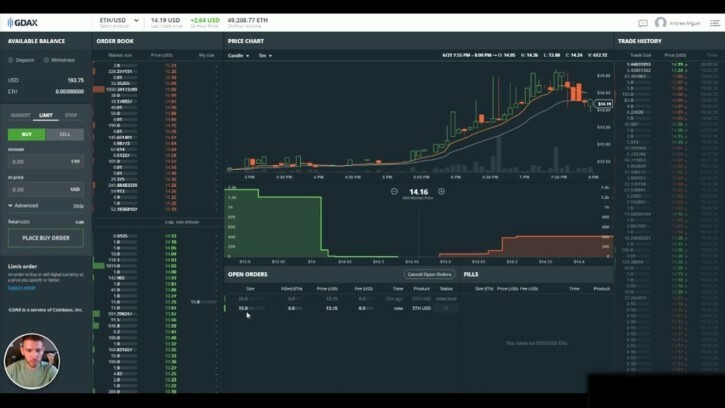 GDAX was created to accommodate not only Bitcoin trading but trading in alternative currencies as well. The exchange is owned by the Coinbase Inc, which is based in San Francisco, California. GDAX operates all around the world, with a focus on the International market. GDAX requires two level identity verification. The verification is necessary, and users are not allowed to place deposits or trade before the verification process is completed. The verification process is straightforward, and it’s a bit different depending on the country. Passports are not accepted, because they don’t indicate the state of residence. A photo of an ID card, driver’s license or Passport. There are no limits when it comes to trading or deposits. There is a limit of 50,000 US dollars per week for withdrawals, but it’s not affected by the verification. There are some additional rules which can be seen here. The exchange’s fee model is a bit different than others, and it’s based on the percentage of monthly volume. At the moment of the writing, GDAX had a 30-day volume of 211,487 BTC. This fee schedule is based on taker fees. Maker fees are 0 percent. There’s also a rebate of 0.01 percent for the takers at the end of each day. There are no fees for making deposits and withdrawals from GDAX account. Only bank fees apply in the case of Wire transfers. The exchange offers various order types, including many advanced order types. 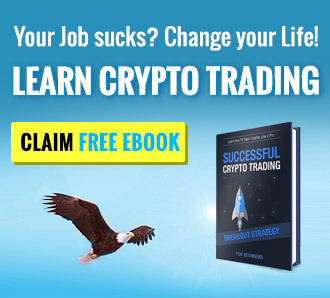 Basic orders are, of course, available – including market, limit or stop order. A market order is an order that’s executed immediately at the current market price. Good ‘Til Cancelled (GTC) – this order is placed on the order book and remains there until canceled by the user. Immediate or Cancel (IOC) – this order is placed on the order book, and if it’s not immediately completed, it will be automatically canceled and removed from the order book. Fill or Kill (FOC) – this order is going to be completed only in the case that the entire amount can be matched. Partial matches are not completed with this type of limit order. Post Only – this is an option which makes sure that the order executes only as a maker order to avoid paying fees. If it encounters orders that result in taking liquidity rather than providing it, the order will automatically reject to execute them. Stop orders allow users to prevent major losses that can come as a result of a price swing. There are Sell Stop and Buy Stop order. The exchange doesn’t offer margin trading neither trading with futures or derivates. The interface looks great, and it’s very well adjusted to user needs. The trading is very simple, and the connection speed is good enough for real-time trading. Many features are just a click or two away, allowing users to easily use the interface. The trading platform doesn’t have apps for Android and iOS, but their website is responsive and looks good on mobile devices. GDAX has a very extensive FAQ page and also offers ticket submission and email support. They usually answer within 48 hours. The support can be a bit “shallow” sometimes and only partially resolve the problem, which can result in waiting for another 48 hours to completely resolve the issue. Since this is a new exchange, there are no complaints so far, but many users have complained about the Coinbase, the founding company of GDAX. GDAX is very well secured exchange. The company holds less than 2 percent of the customer funds in hot wallet, while the rest is secured in cold storage with encryptions and multisig keys. There’s two-factor authentication, and PGP encryption is used in email communication. Email and SMS alerts are available too. The exchange is relatively new, so there are no posts about the hacks online. GDAX is a new name for an old exchange. Overall, a fresh start for Coinbase which reputation suffered a lot in last year or two. Great exchange, especially for beginners. I have had NO problems with transferring cash from coinbase to GDAX. No problem placing limited orders on GDAX for coins that coinbase supports and that is with NO fees. Then transferring the coins back to coinbase from GDAX. They froze my account and money for no reason, and now they don’t write back my emails. I hope they give me back my money ASAP!!! It could probably be a scam. Anything written here about great efficiency and responsiveness of this company in the article above is bogus. I very meticulously submitted business class application over two weeks ago and I’m repeatedly told with a bot screen that the application is being reviewed and that they will ‘get back with me shortly’. And, forget about writing a short note to staff based on one inquiry option GDAX says is available. No response after 4 days (and counting). To me, it is unethical for a company to solicit new business when they have no ability to effectively manage the inflow of that business? 2.5 or 5 stars A true lack of honesty and transparency! THEY need to be REGULATED! My first purchase was duplicated, so instead of investing 1000€ I had 2000€. A completely scam. BTW they are the same as Coinbase. Worst customer service ever. Have been trying for weeks to setup an account and have not had any luck.. The system doesn’t like the address that i am providing however it is the same address that i used for coinbase and it worked. No one has contacted me i just get blanket emails that are f no help. I have a lot of money to invest and they just dont care.